It’s time get inspired! With all creative professions there is value in exercises that encourage vitality, enliven our minds and spur on our imagination. There is value in getting out of our desks, getting face to face and getting those creative juices flowing. Here at KOMA, when we hear about opportunities to come together as a team and step outside of the daily grind, we do our best to take it! 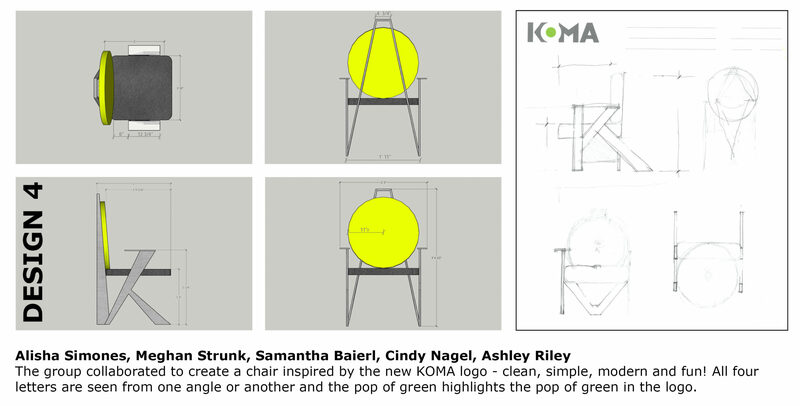 Kimball Hospitality, the largest North American furniture supplier in the hospitality furniture industry, presented a “Create A Chair” competition open to all designers in the industry. 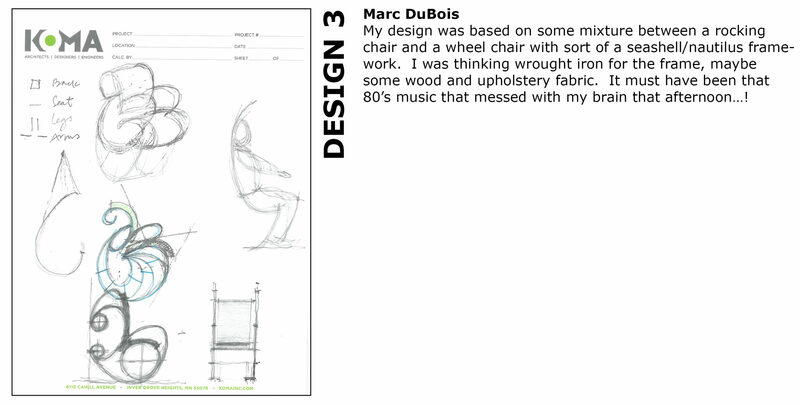 The contest allowed designers to sketch or create in Revit a custom chair. Below are some of our ideas – maybe they’ll inspire you, designer or not, to find something that fuels your imagination – enjoy!